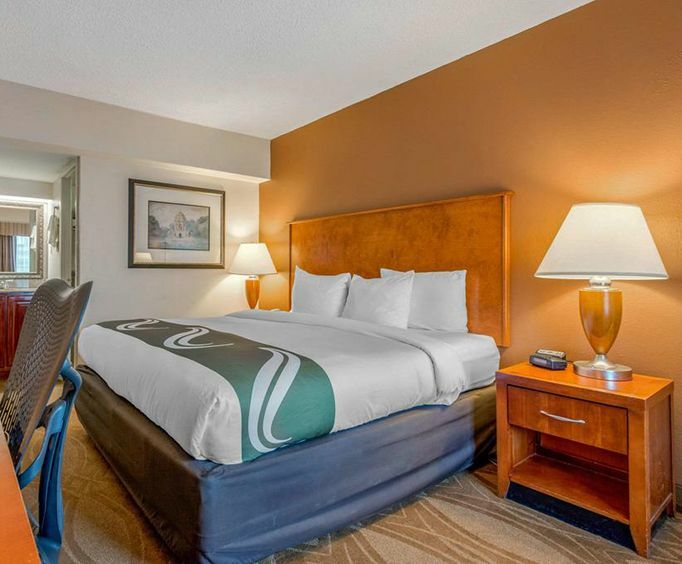 The Quality Inn Heart of Savannah is located in the center of downtown Savannah, less than 1 mile from the popular Savannah Riverboat Cruise attraction. 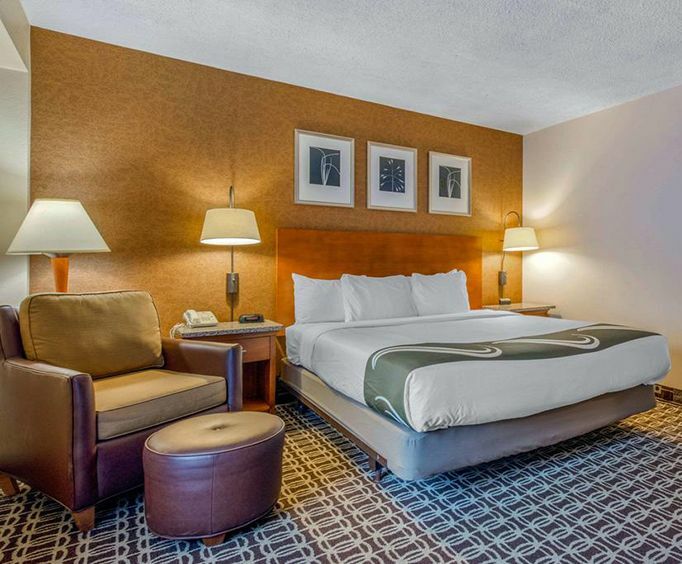 The amenities include a complimentary hot continental breakfast and a free daily newspaper. Interesting locations less than 10 miles from the hotel include the Savannah Theatre, Tybee Island, the Juliet Gordon Lowe House, the Telfair Museum of Art and the Ships of the Sea Maritime Museum. Awake underneath comfortable sheets, and start your day by eating the free continental breakfast and reading the daily newspaper. Spend time with your family on one of Savannah's riverboat cruises, or see a musical show at the Savannah theatre. 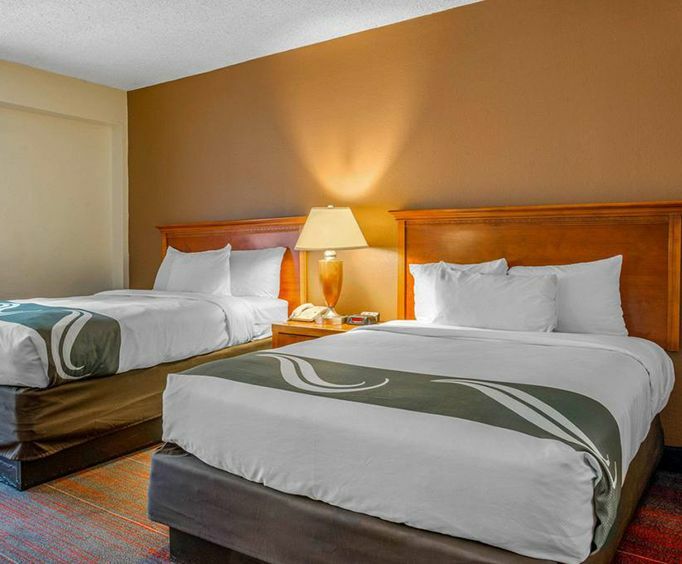 Go shopping at the local mall, or explore the historic district in which the hotel is located. Go to one of the local seafood restaurants, and put any leftovers in the refrigerator before you enjoy a good night's sleep. In your room, you can enjoy a fresh cup of coffee, an iron, and free local calls. There is also a refrigerator and free high-speed Internet included in every room. Nearby restaurants include Belford's Savannah Seafood & Steaks and River House Seafood at less than a quarter mile from the hotel. For your shopping needs, the Crossroads Shopping Center is located a half mile away. The Twelve Oaks Dumarche Shopping Center is about 4 miles south. The breakfast served at the quality inn heart of savannah was great--biscuits, gravy, sausage, fruit, coffee and Much More. Our faMily was trying to decide where we were going to eat in the a.M. But this breakfast you served was great. The room we had was quiet and clean. We were happy with our choice.